Nurses are the lifeblood and connective tissue of health care. Our profession has evolved over time to adapt to fluctuating health care landscapes, but the biggest changes are still to come—and nursing is positioned to grow and lead the transformation of health care. For more than 125 years, we have been preparing a diverse, culturally competent group of nurses to provide all patients with the best care possible and to serve our community as responsible, compassionate caregivers and leaders in the nursing profession. UC Nurses. We See Leaders. We offer more than 30 specialty programs at the bachelor's, master's and doctoral levels. Find the program that best fits your interests and career goals. 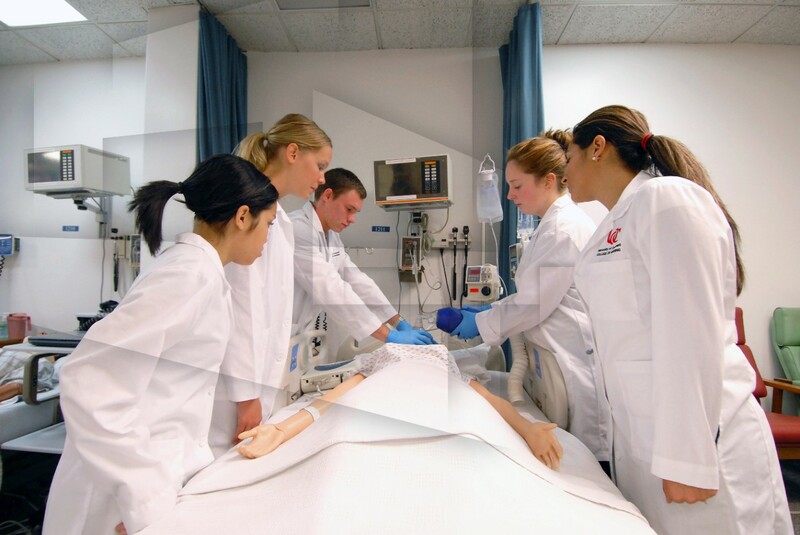 Our long standing relationships with other University of Cincinnati health colleges and clinical partners offer learning and research opportunities across health disciplines. By leveraging technology and innovation, our faculty prepare students to seamlessly transition to the workplace and create solutions that improve and transform patient care. Students gain valuable, real-world experience and grow personally and professionally through our co-op program and international clinical opportunities. Pursuing my RN to BSN at UC empowered me to think of myself as part of the team and a potential leader. I feel energized and excited about my future in nursing as I can apply for leadership positions I would never have applied for before. UC has provided me with the skills to be successful in potential leadership job opportunities.